This low-profile setting creates the illusion of a constellation of diamonds encircling your finger. With diamonds in the band and diamonds in the rounded cushion halo setting, the center diamond appears to float in a glittering galaxy of precious stones. 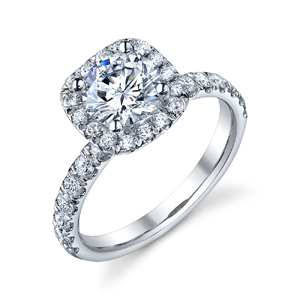 This perfect engagement ring is a Stephanie Cushion Halo With Round Cut Diamond Ring. The unique design of the Stephanie Cushion Halo With Round Cut Diamond Ring could come with a princes cut diamond or a cushion cut diamond. 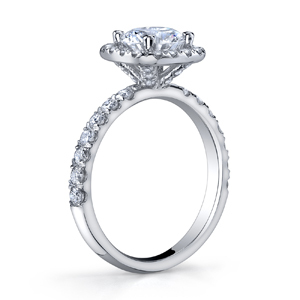 You can view all our Halo engagement rings, Round Cut engagement rings, Diamond Band engagement rings, Cushion Cut engagement rings, Harry Winston Inspired engagement rings.We have a full collection of engagement rings. 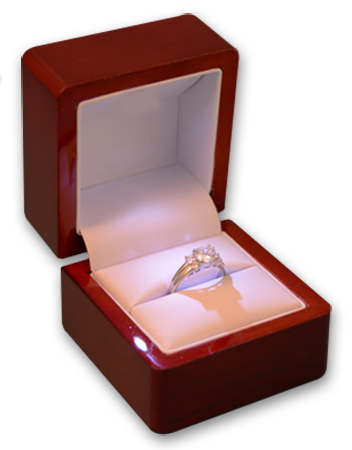 Create the perfect ring by matching a white gold, yellow gold or platinum engagement ring setting of your choice to any of our thousands of diamonds.